Dumpsters are great for removing large amounts of clutter that can’t be discarded through your regular waste removal company. Great for Residential and Commercial use. 1. Please remember that we cannot take the following items in our dumpsters due to landfill restrictions; however if you have any of these items, please speak to one of our qualified waste advisors on how to dispose of them. 2. 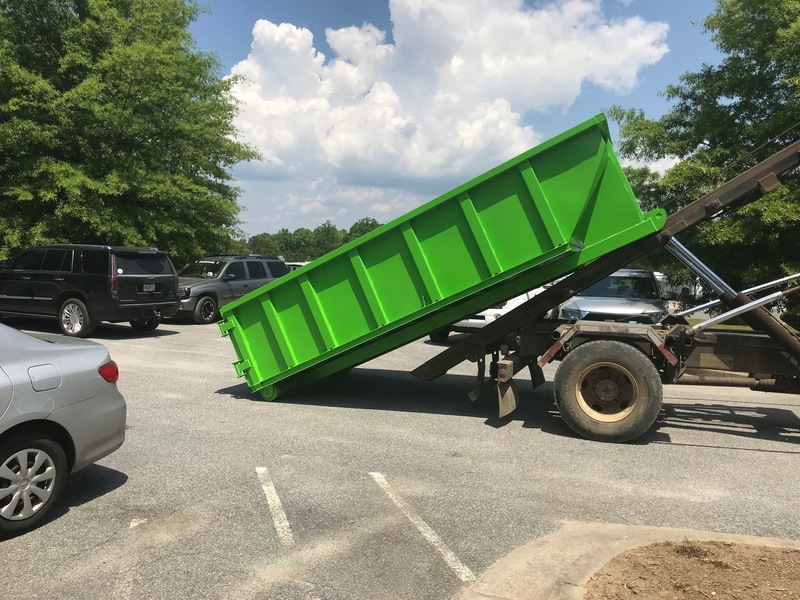 Make sure you get the proper size dumpster for your project. 3. Do not set anything close to, behind, or in front of the dumpster. 4. Set the unit in an easy to gain access place on a somewhat flat area & hard surface (i.e. driveway). 5. Please do not overload the dumpster. It can be filled to just below the sides or level with the sides of the dumpster. 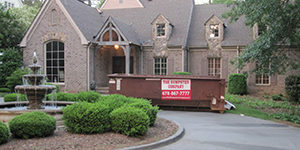 Overloading your Dumpster will only cause the driver to not be able to pick it up and cost you more in the long run. 6. Keep the area all around the dumpster tidy to prevent attracting pests. Holds 5 cubic yards of debris. It can be well suited for a broad variety of tasks. Removal of wood and decking material. Holds 10 cubic yards of debris. It can be well suited for a broad variety of tasks. Ideal for Residential Locations . Holds 15 cubic yards of debris. It can be well suited for a broad variety of tasks. Great for moderate sized projects. Removal of flooring and carpet in substantial size homes. Removing of larger sized decks. Removing of roof shingles for larger homes.
. We will help you any questions you may have regarding the size dumpsters to use. 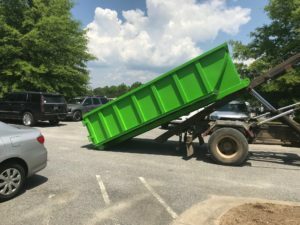 We will help you to the best of our ability with any questions you may have regarding the size dumpsters to use but we cannot be held responsible if you choose the wrong size.